In recent years, the many benefits of eLearning have made it increasingly popular, in both educational and business settings. As technology has advanced, so has the world of eLearning, making the effectiveness and convenience of Learning Management Systems even more beneficial for students and employees. Thanks to cloud-based learning management systems, today instructional designers can create courses that are more cost efficient and more accessible. In this article, we'll delve into the basics and benefits of using a cloud-based LMS. Cloud-based learning management systems are hosted on the Internet and can be accessed by logging into a service provider's site. Rather than having to install course design and management software, instructional designers can simply use their Internet browsers to upload course content, create new courses, and communicate with learners directly. This is all done through a secure LMS, which also gives designers the ability to store information on the cloud, which can be remotely accessed by other, approved users. Because there is no software to purchase, cloud-based LMSs have lower initial costs. You also won't need to devote the time or human resources to installing programs, working out glitches, or making sure that software is installed organization-wide. 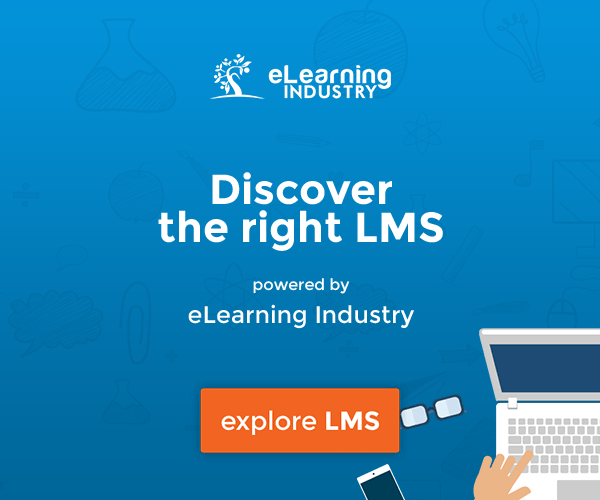 All you need to do is sign up with the LMS service provider and begin creating your content and courses. As some eLearning software and/or hardware can turn out to be a sizable investment, the fact that cloud-based options are so affordable has made them particularly appealing for smaller to medium sized organizations. For example, TalentLMS comes with a FREE plan that allows unlimited trials before having to decide if you will sign up for a subscription. While many institutions and businesses use LMSs, they may use social media sites, such as Twitter and Facebook, to communicate with collaborators. However, these free sites do not have the security features offered by a cloud-based LMS. For example, various designers within your network can share information and ideas remotely through the LMS without having to worry about data being lost or stolen, given that they are hosted on platforms that are better encrypted and safer to use. To assist in that goal, LMS providers may employ a series of different methods to ensure security and privacy of their user-base is of utmost importance. TalentLMS allows the administrator to “Enforce SSL”, making sure all connections that go in and out of the website are secure. Talking about security, we must not forget the matter of payments. Using different payment providers, like PayPal or direct credit-card payments (through secure systems, like Stripe) offers different user demographics the ability to indulge in learning without worrying about the safety of their online transactions. Cloud-based LMSs offer better accessibility for both learners and course designers. Learners are able to learn on-the-go, anywhere and anytime. Rather than relying solely upon software-based courses, they can simply log in to their LMS account and begin learning new skill sets and expanding their knowledge base, without limitations. They can use any device to access courses and information. On the other hand, instructional designers can utilize their tablets, mobile phones, and any other internet-ready device to upload content and communicate with other collaborators and learners. For example TalentLMS uses responsive design, so creating or reading through content should be done easily across all and any devices. As a general rule, cloud-based eLearning is faster to set up and requires less time to actually deploy. You could, technically, sign up with a cloud-based service provider one day and have learners using the system the next. There's no hardware of software involved, so you can have immediate assess to your LMS in a matter of minutes. This means that you can start training sooner, and that you can begin offering courses to students (and accepting new enrollments) in a fraction of the time. In the race between deployed vs cloud-based LMSs, one of the biggest burdens is the setup, steep learning curve of a new system and getting ready for launch. With instantly deployed solutions like TalentLMS, making an account takes 30 seconds. With cloud-based LMS, you know exactly how much you are going to pay each month. There aren't any unexpected maintenance fees or upgrade costs, so you can know exactly how much you need to allocate for your LMS. There are typically different hosting and service packages, so you can choose the one that's right for your organization's needs, rather than purchasing a bundle software program that includes things that may be extraneous. Usually, cloud-based LMS offers administrators the ability to choose between plans based on registered users or plans based on activity. For the most part, cloud-based LMS service providers have IT staff on hand. This means that you won't have to worry about dealing with glitches and other LMS operation issues that not only waste time, but resources. Not to mention that patches and upgrades are typically included, which means that you are receiving new features and upgraded functions on a regular basis. This makes it easier for you to maintain your LMS, and allows you to devote your IT resources to other facets of the organization. 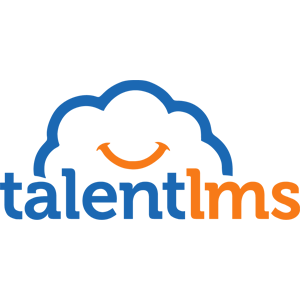 With TalentLMS, it’s as hassle-free as you can imagine. You can sign-up and forget about maintaining and upgrading the system. New features, feedback requests, tweaks and all sorts of technical mumbo are taken care of by our technical team. If you wish to contact us and discuss anything pertaining learning management systems, or how an LMS could be of use to you, click here. 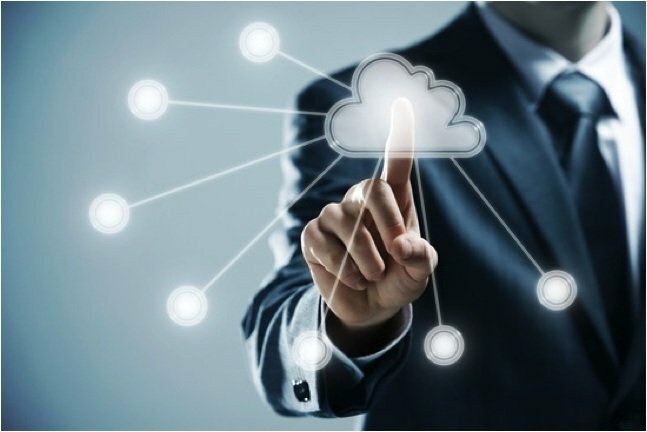 One of the most significant advantages to using a cloud-based LMS is that you won't need to store information on your computer or device. All of the data, including images and content, will be uploaded directly to the LMS, which frees up space on your devices. Other users, such as collaborators and content creators, will also be able to share information with ease, given that it's being stored on a remote (and secure) server. Not to mention that you will no longer have to worry about information being lost due to corrupted hard drives or permanently deleted computer files, thanks to the fact that all of your eLearning data will be stored on the cloud. On top of the data being securely stored on our end, you have no reason to worry about whether or not the servers can house your content; no matter how large the entirety of the files, TalentLMS users are not limited to a certain “account size”. Cloud-based learning management systems can allow you to offer flexible, cost efficient, and effective eLearning to students and employees. With minimal start up costs, automatic upgrades, quick deployment capabilities, and enhanced security, it's the ideal choice for any organization, regardless of size or budgetary concerns.If you'd like to learn more about cloud-based learning management systems, the following article features a comprehensive list of the top cloud-based LMS - The Ultimate List of Cloud-Based Learning Management Systems.